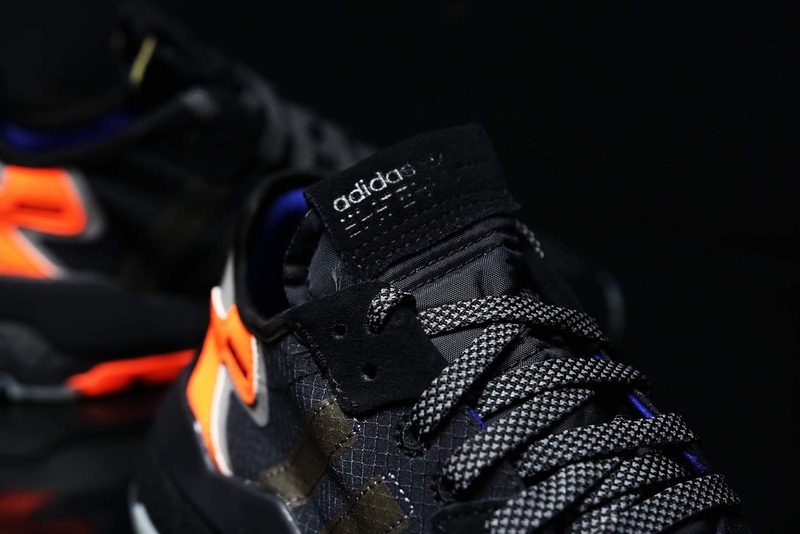 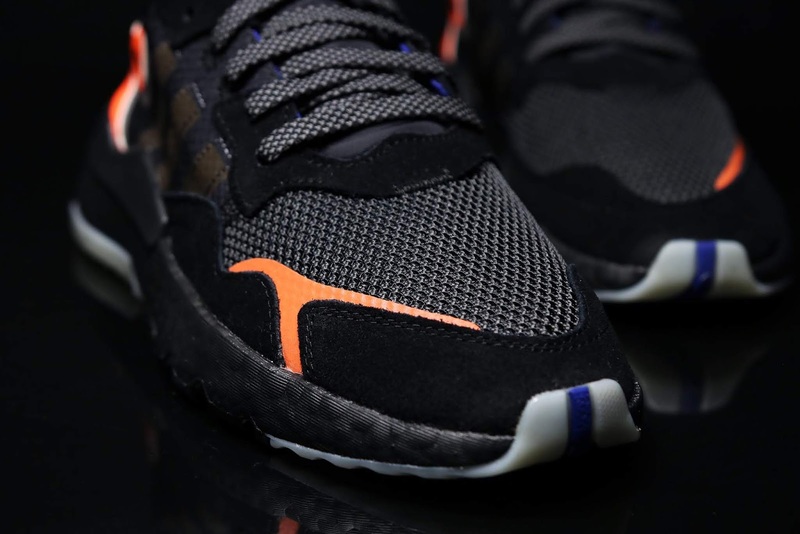 The 2019 Nite Jogger flashes back 40 years to 1979, when adidas experimented with high-vis materials for the first time on its Nite Jogger running shoe. 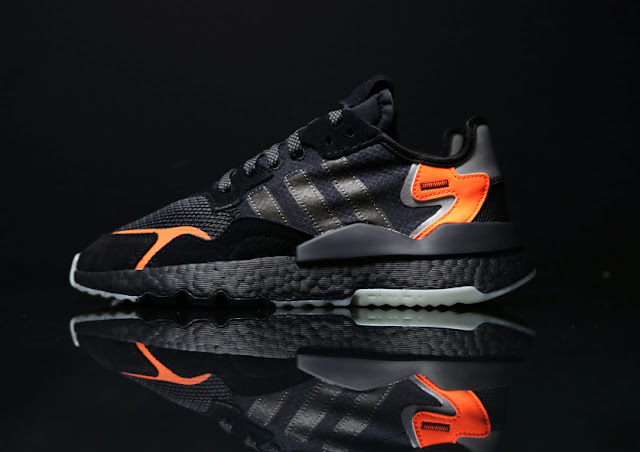 Updating the model with modern materials and tech, the new Nite Jogger includes full-length Boost cushioning, ripstop nylon, mesh knit, and suede overlays which retain a slight OG feel. Meanwhile, this update also references the OG version through hits of vibrant orange throughout the black-based upper. 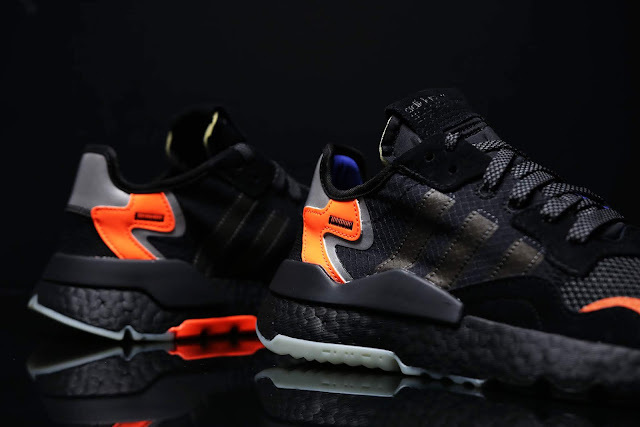 The adidas Nite Jogger 2019 - Black is available at selected retailers.